You got to hand it to WBTV investigative reporter Nick Ochsner. 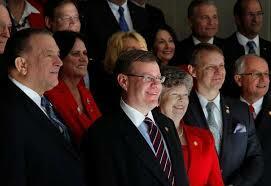 He was first at discovering that NC House Speaker Tim Moore had been in apparent violation since at least 2007 of NC campaign finance reporting law. In 2006, the General Assembly voted to make itemized reports of credit card charges mandatory for all members. Tim Moore was a member of the NC House at the time. He co-sponsored the legislation and voted for it during all three readings of the bill. Yet he has consistently violated that law by failing to itemize his credit card charges, which are extensive (and see below). Reporter Nick Ochsner, who was at the time working in Raleigh (and before he joined the WBTV news team), was approached by Tim Moore's "people" about becoming the new House Speaker's communications director. Ochsner wanted to relocate to Charlotte, and a specific job offer never materialized. Once Ochsner joined WBTV and started reporting on Tim Moore's opaque finances, the young reporter was attacked, very pointedly, by the entire state Republican scaffolding. The new Exec Dir of the NC Republican Party, Dallas Woodhouse, wrote Ochsner's WBTV boss and called for his firing, while totally misrepresenting Ochsner's past history with the Tim Moore operation. WBTV brass were not moved. Then Representative Charles Jeter (R-Mecklenburg), who is the House Republican Conference Chair, emailed all Republican representatives, instructing them not to talk with Ochsner. Ochsner pressed on. His confrontation with Tim Moore was captured on video (transcript here). Is it any wonder that Tim Moore hates Nick Ochsner? Now look what leaked on New Year's Eve: FBI is poking around about the campaign finances of Tim Moore and other member(s) of the NC House. Ochsner's investigation had burrowed in on thousands of dollars in rent payments Moore’s campaign has made to a company solely owned by the lawmaker and, most recently, a contribution he accepted from a state contractor who donated $1,000 during session. Moore has been obviously practicing the old "pay-to-play" political corruption of "You contribute to my campaign, and we'll see what slosh of gravy you can lap up." Moore's been so obvious with it that fellow Republican House member Justin Burr (R-Albemarle) recently warned fellow Republicans that the Party was harboring another Jim Black, the disgraced Democratic ex-House Speaker who went to jail for his corruption. Tim Moore has shown himself as wholly self-interested, with his pork barrel shenanigans in Cleveland County, and with the fairly egregious acceptance of a sinecure as Cleveland County attorney, along with a hefty salary, even though other lawyers would have to be paid to handle county work while Moore was in session in Raleigh -- which was months and months in 2015. So being the subject of an FBI investigation isn't exactly a good look for the Speaker, going into an election year, nor for the Party that he's a certified pooh-bah of.